Sustained by hunting, fishing and planting, our Wampanoag ancestors built homes made from cedar frames; reed mats; and bark coverings exhibiting a sophisticated knowledge of the impacts of the elements and insulating factors. They developed a matriarchal clan structure within inter-connected villages. Each village was led by a sachem (a male chief) or sonksqua (a female chief) informed by clan leaders who were more often women, with the chief then reporting to a supreme leader, massasoit. This was recognized as the "Longhouse" style governance. It was a form of governing so representative of all citizens it was identified as a model used by the Founding Fathers for the democracy that became the United States of America. During the 1600s our people experienced a period of European exploration and colonization that dramatically altered the course of our nation. Traders brought new technology including metal pots to outlast clay, tools and firearms potentially more efficient than stone or bow, and blankets and coats not made of hide but some carrying a hidden danger. In 1620 the Mayflower brought Pilgrims from England, an iconic group of colonists who occupied the Wampanoag village of Patuxet. The coastal Wampanoag village had been laid bare when its inhabitants were wiped out by a plague of European origin in 1616, commonly believed to have been transmitted to the people of Patuxet in the process of trading. Lacking immunity to European illness, our ancestors were ravaged by disease, wiping out many entire villages. Among other unwelcome impacts of early European encounters was the practice of kidnapping and enslavement of our men, and perhaps most ironic given that many colonists left Europe to worship freely, was the settler's determination to civilize our people by assimilation to Christianity. Prior to the plagues and colonization there were at least 69 thriving Wampanoag villages. Fifty years later only 23 of those villages remained and missionaries were making a concerted effort to convert our people in Mashpee to Christianity. Overall colonization and the Puritan's dogmatic crusade for religious conversion had devastating social and cultural consequences on our people. Language, culture and spirituality were discouraged in deference to Puritan morality and proprietorship of land. This philosophy of "manifest destiny" -- the belief that God removed indigenous people to make way for the Puritans -- led to the appropriation of our homelands, creating a climate of hostility ripe for conflict. In April of 1671 Metacomet was called to Cohannut, a village the English called Taunton, to engage in a treaty on behalf of his people with Governor Thomas Prence of Plymouth and Massachusetts Bay Colony. The two men signed a promise to lay down arms inside the Taunton meetinghouse. The treaty provided little relief for our people who continued to be dispossessed of land, oppressed and unfairly persecuted in English courts. In 1685 a stretch of territory from Cape Cod Bay to Vineyard Sound including land in present day Sandwich, Mashpee, Barnstable and Falmouth was deeded to the Wampanoag of the praying Indian plantation of Mashpee in perpetuity. But like the treaty signed at Taunton, the deed provided little long-term protection to our people. Over the objections of our people, Mashpee became a town in 1870 and the land divided into 60-acre parcels among each adult man and woman, most of whom were unable to read or write. Without knowledge or experience of land ownership, or literacy, land was easily contrived away from our people. Township stripped the tribe of the security of the original promise to hold our land "forever," but not of our pride and body politic. 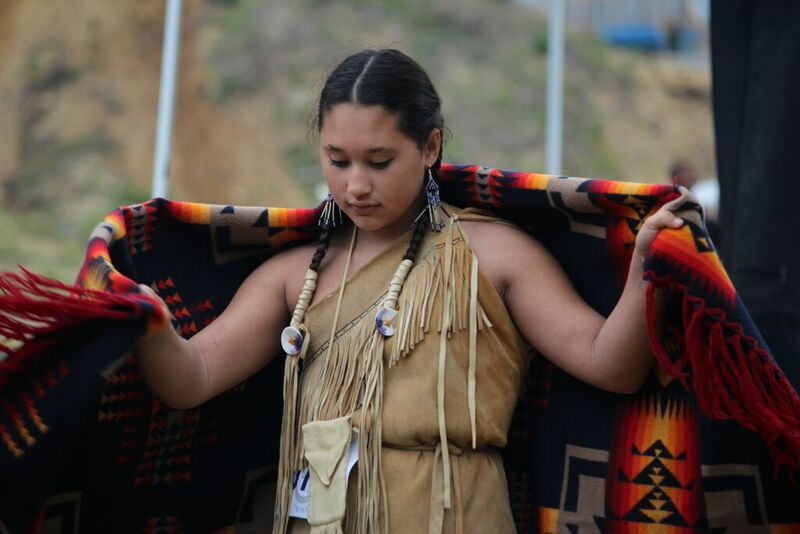 By 1900, the Wampanoag Nation was reduced to three governments: The Mashpee Wampanoag Tribe, The Wampanoag Tribe of Gay Head Aquinnah, and the Herring Pond Wampanoag Tribe. These communities remain inter-connected in tribal affairs including social and cultural events. In the 1920s our tribe established what is today the longest running public powwow east of the Mississippi. Today our tribe is one of two federally recognized tribes in the Commonwealth of Massachusetts. We are culturally, socially and politically as viable as ever, pursuing recovery of ancestral homelands, economic development initiatives, and providing human services to tribal members. The governing political body, the Tribal Council, is balanced by traditional leadership including the chief, medicine man and clan mothers. 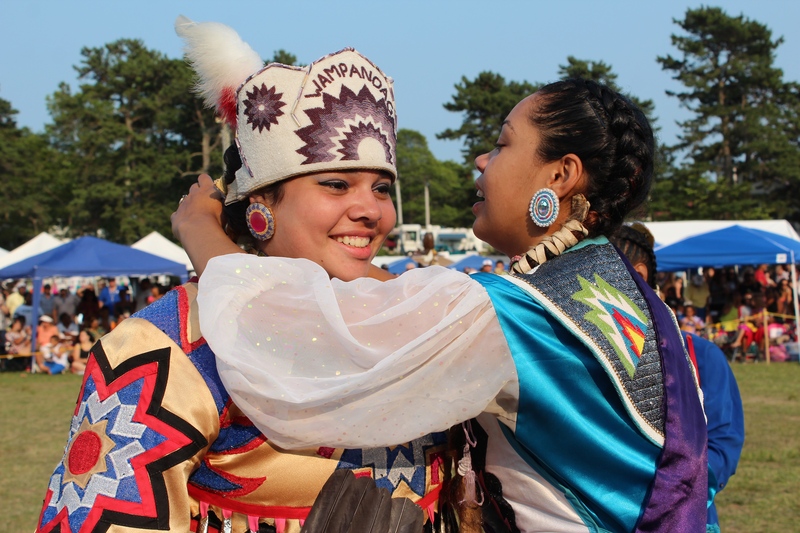 We share our rich culture and traditions during the annual Mashpee Wampanoag Powwow attended by thousands each summer.